The BVPA, sponsored by Breakers Pool Bar, took a break from league action to allow the preliminary round of Knockout Cup fixtures for the Super League and Premier League to take place. Lady Luck favoured the Sun A in a game where the result could easily have went the other way. Sun A new signings break & dish was 1 of the highlights of the match. The Station repeated their recent Super League win over the Seahorse B after taking the first scotch doubles to secure a quarter final place. League form was knocked on its head as the Sports B upset the form book with a solid 7-4 home win over the Comrades A, Richie Cook was the undisputed Man of the Match with 3/3 including the match winning 1st scotch doubles game. The game was another match of fine margins with the Sports B edging some close frames. Premier League leaders Breakers A were the favourites for this match, but the South Beach pushed them all the way in an engrossing match which was tied at 4-4 after the opening 8 singles games ensuring the game would go all the way to the scotch doubles. Breakers A Talisman Trevor Brewis was at it again smashing in another hat trick of points including the match winning frame as the home team took 3 frames in a row to seal the win. The match was finally over when Kev Harnet nailed a fantastic double to seal the match, whilst team mate & Vice Captain Stephen Carr was 100% winning both his singles frames. South Beaches Jonathon Vincent 2/2 was the visitors star player for the visitors, team mate Will Mason knocked in a terrific singles win to keep the match close. A number of firsts on the night, with the Prince of Wales playing their first ever competitive match in the BVPA, Adam Reith winning the Princes first point in the 5th game of the night & the Sports A winning their first match of the season. The match was played in a great spirit with the Sports A helping out the Prince as is way for teams in the BVPA Friendly League. 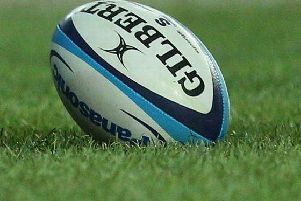 Super League KO Cup games to be played February 25th. Irish A v Sports C pits the top 2 teams from last season against each other, which will mean 1 team missing finals night for 1st time. Comrades B v Sports B. The Sports B will be looking to end all Comrades participation in this years competition. Seahorse A v Side Club. A match Guaranteeing at least 1 team outside the top six will make the Semi Finals with the Side Club hoping to make their 2nd finals night in a row. Sun A v Bedlington Station, An all Bedlington derby where league form could be out the window, but the Station will be hoping to make their 5th finals night in a row. Premier League KO Cup Games. Breakers C v Percy Arms, only 4 points separate the 5th & 6th teams in the Premier League & close game could be on the cards, even with the match 3 months away the banter has already started on social media between some former team mates who are looking forward to the match & an opportunity to make their first finals night. Sports D v Breakers A, the first of 2 games involving top 4 teams. The Sports D will be hoping home advantage tips the match in their favour against the Premier League leaders in an evenly matched contest. Sports A v Sun B. 2 of the teams relegated from the Super League last season will be involved in another close game which will also guarantee 1 of the teams in the bottom half of the table a place in the Semi finals. Wharton v Cambois Club. Another titanic clash between 2 of the top 4 teams in the Premier League guaranteeing at least 1 Bedlington team a place in the Semi's.